One sample Teaming with Success Participant Handbook. Teaming with success is a behavioral science based approach to understanding teams and team membership, the affect of introducing a change such as lean manufacturing into a team, and how to lead the team through the resultant turmoil back into a highly productive state. One of the reasons lean manufacturing inplementation efforts fail in the early stages is the lack of understanding of human behavior in a team setting. Some of the most obvious improvements in product flow are rejected by the team leaving supervisors to wonder why. They often attribute the cause to poor attitude and lack of team spirit. A misstep by the lean trainer to elicit cooperation can backfire and cause long term damage to the team. Lean leadership is an essential element for creating lasting and rewarding lean results. While the lean principles are not particularly hard to understand, they are not a natural way for teams to evolve. As such, the introduction of lean methods into a team creates an uncomfortable feeling in the early stages. Early warning signs of turmoil are often misinterpreted and attributed to personalities on the team. A lean leader must correctly interpret these warning signs, and carefully lead the team to success. Teaming with Success is based on the behavioral science of team dynamics and will acquaint your lean leader with the essentials necessary to support a successful lean mfg implementation plan. A few of the subject elements presented in Teaming with Success are: Selective Perception; Communication: verbal and visual; Team Membership; Barriers to Success; The Team Model; and The Trust Equation. Allow at least 2 hours for the Teaming with Success PowerPoint presentation and the two communication exercises, and another hour for each of the survivor team events you may choose to run. The training package includes a PowerPoint presentation complete with speaker notes, and a printed Facilitator Guide which provides Preparation Setup and Process Sheets which describe several interactive simulation activities in detail to enhance the learning experience. Perfect for training the facilitator in how to present the training materials, or as a stand alone reference guide for supervisors and team leaders. Part 1 and Part 2 of the Teaming presentation each lead into group participation communication exercises, and Part 3 leads into three fun team building exercises, each using a survivor event scenario as the basis for exploring the team concepts presented in the training presentation. Participant exercises require use of a soft small ball, like a 5" Nerf ball, and some large flip-chart pads which are not supplied with the package. This presentation is highly recommended for Managers, Facilitators, Supervisors and Team Leaders and anyone who is a member of a team. Teaming with Success is a standalone product and does not require the Car Factory Simulation Kit. 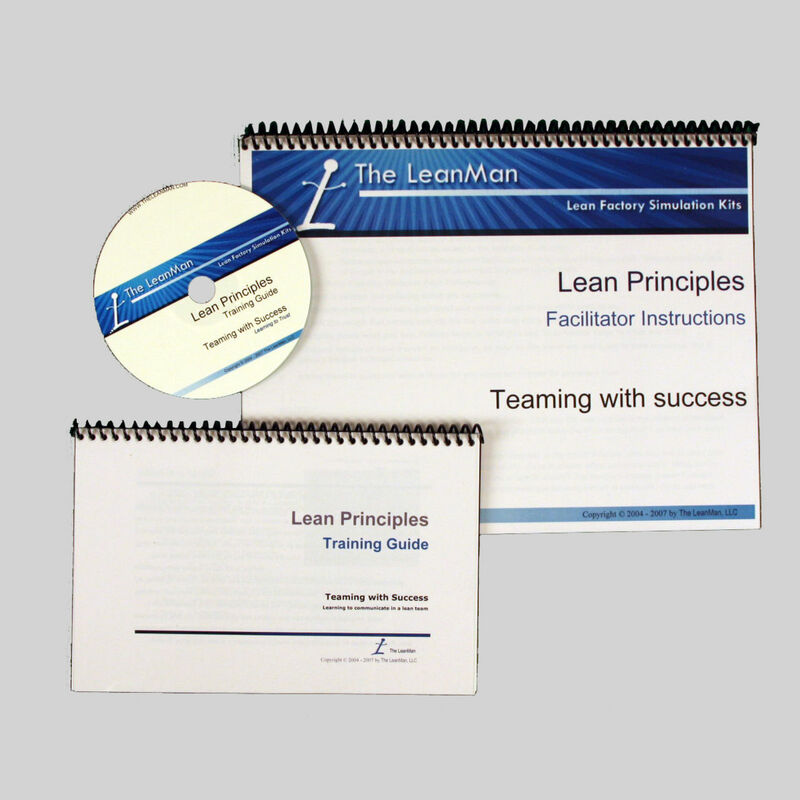 However, if you also own one of the Car Factory Simulation Kits or are planing on purchasing one, be sure to check out the Developing Lean Eyes Training Package which now includes the Teaming with Success materials for a complete behavioral approach to implementing lean change.